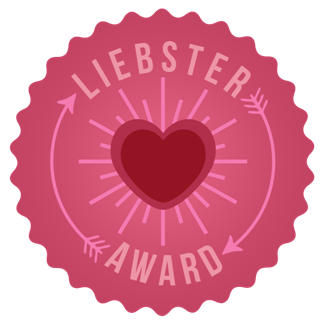 Professional Daydreamer: The Liebster Award! Now I'm not entirely sure of the rules so I'm going to use the ones that other people have used and hope that they are right. 4. Nominate 11 bloggers who you feel deserve this award and who have less than 500 followers. I really want to thank louleecutie for the nomination because I love her blog and she writes really great posts and has helped me a bit with my blog and answered some of my boring questions. 1) I watched and read Harry potter for the first time this year and now wish I could have watched and read the books sooner. 2) I love the band McFly. 3) I was taught at home from the age of 7 to 11. 4) I am a bookworm. 5) I love singing but I have no confidence and I don't sound to good either. 6) My family don't have a clue about this blog. 7) I have planned my dream home even though I will ever be able to afford to move out. 8) I wish Hogwarts was real because I love the idea of magic. 9) I want to write a book and I have the whole book planned out exactly how I want it. 10) My goal in life is to meet Louise from Sprinkleofglitter because her videos make me smile and her look books give me confidence and she is just a wonderful person. 11) I sometimes wish I could go back to when I was little to relive some of my favourite memories. Harry potter which I know has 7 books but I simply cant choose between them. 2) How old will you be at your next birthday? Baking and writing this blog. 4) Who is your favourite male YouTuber? 5) How many siblings, if any, do you have? 6) Who was your first celebrity crush? Tom Fletcher and he still is. 7) What was your favourite childhood TV show? 9) What is your favourite school subject? My favourite school subject was textiles. 10) Do you believe in mermaids, unicorns, ghosts or fairies? I don't believe in unicorns that's just silly but I do believe in mermaids, ghosts fairies and magic haha. 11) If you had an hour until death, what would you do? knowing me I would either watch my favourite youtubers or just go to sleep. 1) Do you feel confident in yourself? 2) Whats your idea of a perfect day? 3) What country are you from? 4) Do you have any weird habits? 5) Whats you dream/ Goal in life? 7) Do you like Harry Potter, if so what house are you? (Mines Hufflepuff). 8) What was your first job? 9) Whats your favourite high street shop? 11) Who are you closest to in your family? Feel free to answer my questions below, thanks for reading.